A recipe from Mieke Flikweert which includes pure Greensweet Belgian stevia. Heat the whipped cream with the butter until it just does not boil. Add the chocolate bar and stir until the chocolate has melted. Put the whole in a bowl and let it set in the fridge for at least an hour. Then beat this ganache lightly with a mixer. 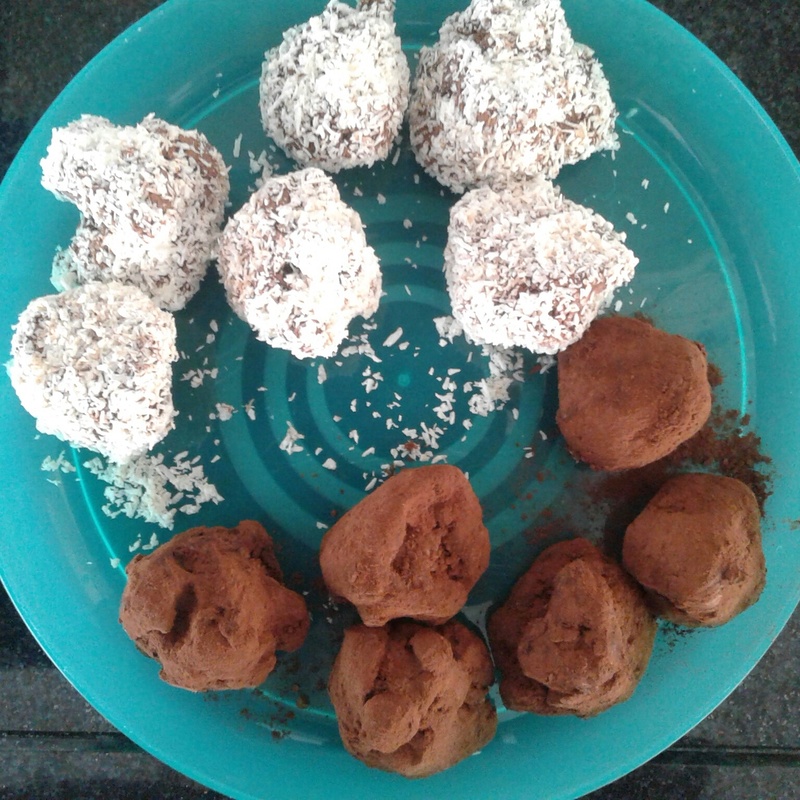 Now roll the balls through the cocoa powder or the coconut.